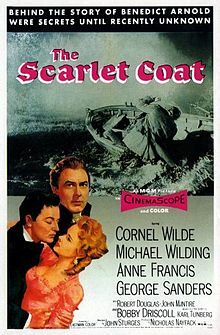 The Scarlet Coat is an Eastmancolor CinemaScope 1955 American historical drama and swashbuckler directed by John Sturges, based upon the events in the American Revolution in which Benedict Arnold offered to surrender the fort at West Point to the British in exchange for money. The film purports to tell the story of the creation of the “American Secret Service”, and weaves a spy/counterspy tale in which British and American counterparts, played by Michael Wilding as Major John André and Cornel Wilde, as John Bolton, unaware that each is attempting to outsmart the other for the sake of their countries, deal with issues of honour, loyalty, and friendship. There is also some rivalry between the men for the love of a fictional beautiful woman (Anne Francis). Though, in real life, André and Major Benjamin Tallmadge, the model for Bolton, did meet shortly before André was to be hanged as a spy (Talmadge’s regiment of light dragoons was charged with guarding André) and did develop a kind of friendship, it was not the longer-term and deeper friendship suggested in the film. Bolton betrays this friendship in the film, but Karl Tunberg’s script ameliorates that difficulty by having Bolton make attempts to save Andre’s life. Another important departure from reality is that, in an earlier part of the film, André actually does save Bolton’s life, something which never occurred. The real Major Talmadge, whose code name as master of the Culper Spy Ring was “John Bolton,” never undertook spy activities out of uniform, as André did. Wilding’s character, Major André, is treated sympathetically in the film, while Wilde’s fictional Major Bolton, based loosely, as noted, on Major Tallmadge, is portrayed as more ruthless, particularly in the brutality he employs to accomplish his objectives. The script is noted for its even-handedness in depicting both sides of the conflict. In 1780, General Benedict Arnold commands the Continental Army defences at West Point, New York. Major John Bolton (Cornel Wilde), a dragoon officer assigned to counter-intelligence, intercepts and kills a British spy leaving the Storm King Tavern, and captures a letter found on the spy. He reports to Gen. Robert Howe (John McIntire), that the coded message was from the British spy calling himself “Gustavus” to “James Osborn”, in care of Dr. Jonathan Odell of New York, stating that Arnold has taken command at West Point. The secret knowledge indicates that the spy is a “highly placed person”. 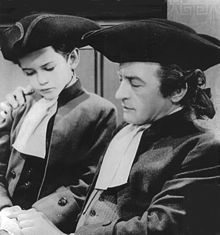 Bolton returns to the tavern, where one of his contacts, stableboy Ben Potter (Bobby Driscoll), tells him that the Tory wife of a redcoat, Mrs. Sally Cameron (Anne Francis), is travelling under a flag of truce possibly carrying information to the enemy. She catches them searching her room, where Bolton takes her safe conduct pass after verbally sparring with her. Mrs. Cameron tries to seduce Bolton to obtain its return, but he rebuffs her. A messenger arrives with a package for “Mr. Moody,” but when no one by that name can be found, Col. Winfield steps forward to deliver the package to “Moody,” who has been travelling, in uniform, as an American officer. Bolton recognizes Winfield as an impostor, and in a struggle over the package, kills him. Other American officers arrest Bolton for murder and deliver him to Howe. A pass through the lines found hidden in his boot reveals that the impostor was actually Moody, a spy, who had another coded letter from Gustavus to Osborn in his possession. The package, a ream of blank paper, concealed a message to Gustavus from Osborn written in invisible ink requesting an urgent meeting to finalize an unknown arrangement. Howe proposes that Bolton “desert” to the British. Bolton agrees, aware that he could be hanged if the British discover his mission. With Moody’s pass, Bolton passes through the British lines, but the British lieutenant on duty recognizes that he is not the same man who previously used the pass and follows him. In New York, Bolton calls upon Dr. Odell (George Sanders), trying to deliver the letter. The lieutenant bursts in to arrest Bolton, but when he addresses him as “Mr. Moody”, Odell takes Bolton and the letter to British Army Major John André (Michael Wilding) for deciphering, using a pair of spectacles to isolate key words. Bolton claims that he was Moody’s source of information. He offers to continue working for the British. Odell bluntly tells Bolton that he thinks his story is too neat and believes him to be a Rebel spy. But André takes an immediate liking to Bolton. He invites him to a dinner party that evening, where Bolton suffers an anxious moment when Sally Cameron (unmarried and André’s mistress) is present. Bolton’s explanation corroborates information about the murder that André had checked, and Sally provides the perfect eyewitness. 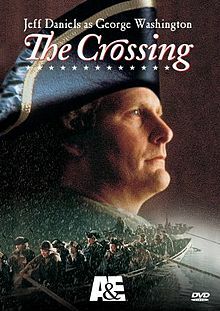 Bolton is sent with two Tory agents to sabotage the chain barrier across the Hudson River before a British attack on the American position at Verplanck, so that British warships can pass. André gives one a letter to deliver afterwards at the Storm King Tavern. Bolton drowns one agent, but when he tries to arrest the other, is confronted by an armed Ben Potter, who still thinks that Bolton is a murderer and deserter. The agent disarms Ben and nearly kills Bolton. Ben finds his gun and shoots the agent. At a secret meeting with Howe, Bolton uses spectacles to decipher the letter, which points to Gustavus as someone at West Point with authority. Bolton volunteers to return to New York to identify the mysterious James Osborn. Odell more than ever believes Bolton is a spy, but Bolton convinces André that the British agents completed their mission. To trap him, Odell writes a false dispatch from “Mr. Osborn” for Bolton to steal. At another dinner, Bolton notices that Sally Cameron only pretends to toast the King. She has also fallen in love with him and warns Bolton about Odell’s trap. The British attack on Verplanck is crushed and results in Bolton’s arrest as a Rebel spy. He is saved from hanging by André, who intervenes for him after Sally confesses her feelings for Bolton and begs him to vouch on Bolton’s behalf. He does so, despite her refusal of his marriage proposal. Putting duty before personal considerations, André asks Bolton to accompany him to a meeting between Gustavus and Osborn aboard the sloop Vulture. André assures Bolton that Gustavus and Osborn have conjured a quick end to the war. The wily Gustavus changes the meeting at the last moment to the house of a Tory sympathizer and orders André to come alone. Bolton persuades André to go in uniform, and not in civilian clothing, lest he be captured as a spy. Soon after, Odell detects Bolton warning American shore batteries of the British presence, but Bolton escapes by swimming ashore to the American garrison. The American commander, Col. Jameson (James Westerfield), is sceptical of Bolton’s loyalties and stubbornly prevents him from capturing Gustavus and Osborn. Gustavus escapes. Osborn has been captured and Bolton realizes that Benedict Arnold is Gustavus. To his horror, Bolton learns that Osborn is André, and worse, that he changed into civilian clothes trying to escape. At André’s court-martial, Bolton testifies that André entered the lines in uniform and changed into civilian clothing only at Arnold’s treacherous orders. The court reluctantly sentences André to be executed as a spy. André pledges his continuing friendship with Bolton and asks him to protect Sally from any retribution. Bolton brokers a last-minute deal to exchange André for Arnold, but André considers the suggestion a taint on his honour and declines. As reported in April 1952 in Daily Variety, the genesis of the film was the original story “Betrayal on the Hudson” by Hollister Noble and Sidney Harmon, purchased by Metro-Goldwyn-Mayer as the basis for the screenplay of The Scarlet Coat. In January 1953, the Hollywood Reporter listed Stewart Granger as the lead character and Robert Pirosh as the film’s director, and later that year named Robert Taylor as Granger’s replacement, to co-star with Michael Wilding. In June 1954, production was delayed because of a shortage of sound stage space and stagehands. Exteriors filmed on location in Tarrytown, New York and on the Hudson River were shot in the autumn of 1954 to capture fall foliage for depicting the historical September 1780 time frame. 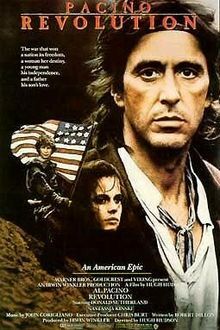 The movie is currently unavailable on Region 1 DVD,in NTSC format, but is available from Italy in Region 2 PAL format and may be viewed on the cable channel Turner Classic Movies, which shows it periodically. According to MGM records the film earned $449,000 in the US and Canada and $719,000 elsewhere, resulting in a loss of $1,158,000.